If you’ve read my blog for long, you know that I don’t exactly love being in the kitchen for hours on end. Believe me, I wish I did! I even wrote a post called 20 Meals for Moms that Hate Cooking. ha! I also teach piano lessons two evenings a week, so my crockpot is often my best friend in the kitchen. Over the years I have collected and tried MANY different cookbooks, recipes from Pinterest, crockpot recipes and freezer batch cooking. I, personally, don’t just stick to ONE of those methods. I do a little bit of everything. 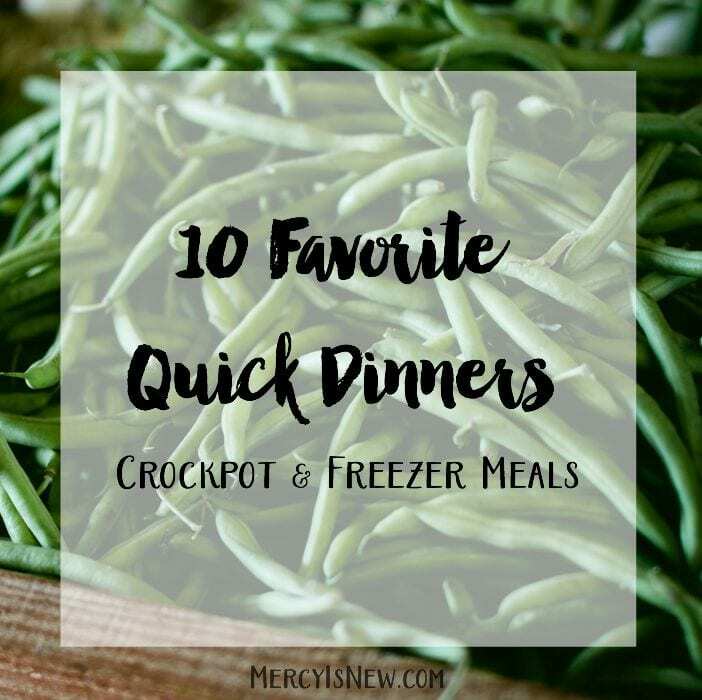 I LOVE having meals in my freezer ready to go, I usually have 1-2 crockpot meals on my menu each week, and I love recipes with just a few ingredients that I can throw together at the last minute. 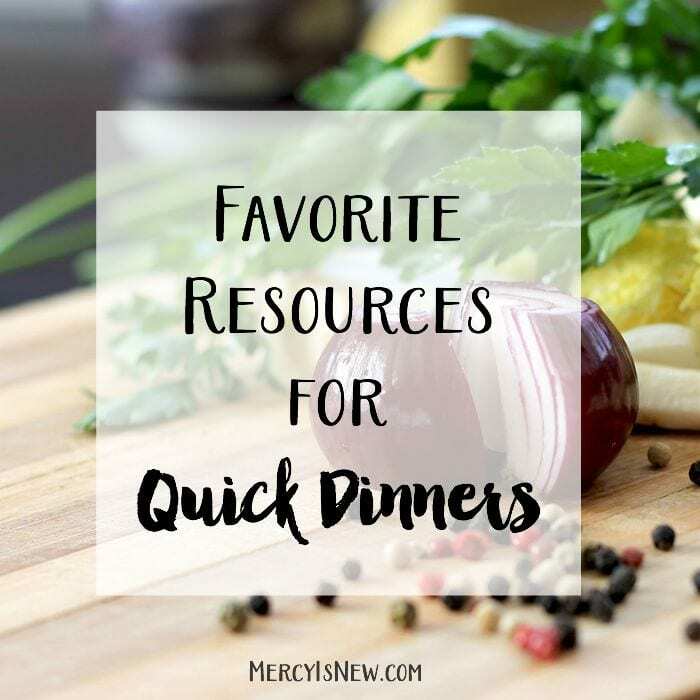 So, I thought I would share with you my FAVORITE resources for getting dinner on the table fast! I also want to share a few of my tried and true meals/recipes that we’ve used over the years. 1. Not Your Mother’s Make-Ahead and Freeze Cookbook – this book came highly recommended to me by several friends! I am slowly trying to get to the point where I make several meals at once instead of just one, then I have something ready to go in the freezer. 2. 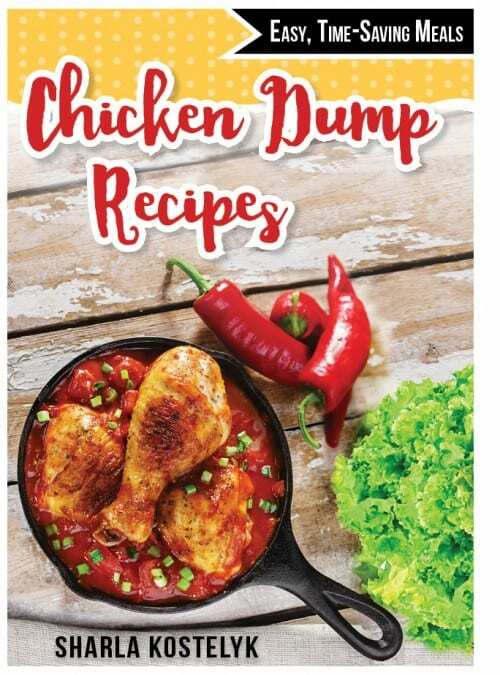 Chicken Dump Recipes from Sharla of The Chaos and the Clutter. These ebooks are VERY simple to use, they give you grocery lists and everything! 3. Beef Dump Recipes This is another resource from The Chaos and the Clutter. These ebooks have 20 or so recipes, divided into plans so that you can grocery shop according to plan. There are instructions, with pictures, that help you to get these meals into your freezers! 4. Pinterest – Ok this isn’t a cookbook or anything, but seriously, I have tried so many great recipes over the years from Pinterest! I have a whole board of Crockpot & Freezer meal recipes. I have a board of Main Dish recipes that are, for the most part, pretty simple. If it’s got a huge list of ingredients, I don’t even pin it. 5. Find your local Pampered Chef lady! There are new “freezer meal workshops” that Pampered Chef does and they are great! I have a friend locally that does these and you walk away with anywhere from 7-10 freezer meals when you are done! You do have to purchase the Pampered Chef spices to go with the recipes, but we’ve had so many of these meals that are wonderful! I would LOVE to hear what YOUR favorite quick dinners are? Or what resources/cookbooks do you find yourself using time and time again?